8 years relevant work experience. BS/BA preferred. When you provide the world’s most complete, open, and integrated business software and hardware system’s and work with all of the Fortune, you have pretty high standards. That’s why at Oracle, we seek only the top sales talent to join our team. In return, we provide the opportunity for you to showcase your talent as you enjoy the rewards of selling technology that is the envy of the industry. Join us and be part of the best sales force in the business. Change is good. This change is even better. If you feel like you’ve hit the ceiling of your current job, join the company whose potential is virtually limitless. Oracle is the global leader in advanced business software, hardware and middleware solutions. In fact, we help drive the success of all companies in the Fortune. If you’re a highly ambitious sales professional looking for more from your career, we’d like to help drive your success too. Oracle has an outstanding track record for delivering business value in the communications industry. Only Oracle offers packaged software solutions that deliver end-to-end support for the key business processes for communications companies. The Hardware Sales Representative position has been created to support the significant investment Oracle has and continues to make in the Communications Market. The Hardware Sales Representative will be responsible for selling the Oracle Communications products to Vodafone in Egypt, reporting into the Regional Sales Manager in Turkey. Selling Oracle Communications products into the Vodafone operting companies in Egypt and assiting in the Vodafone regional operating companies in Qatar and Turkey. Responsible and accountable for achieving allocated quarterly and annual sales quota for license and first year maintenance. Prospect and increase awareness of Oracle Communications’ products in the region, building a sustainable and growing pipeline of opportunities. Develop existing Oracle Communications customer relationships in the region and identify expansion opportunities. Work in conjunction with Oracle CGBU account teams and other Oracle lines of business to identify opportunities in the Oracle installed base and/or net new accounts. Manage and close Oracle Communications sales opportunities through account and opportunity planning and execution. Lead the development, presentation and sale of opportunity specific value propositions. Negotiate pricing, concessions and contractual agreement to close the sale. Identify strategic alignment with key third party influencers. 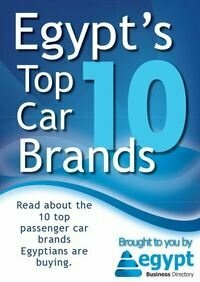 Successful track record of selling applications products into Vodafone within the Egypt market. Good knowledge of the Turkey, Qatar and Egypt communications industry, market drivers and company strategies. Established relationships at various levels throughout customer organisations, with proven influence on completed sales. Demonstrable experience in selling to key influencers, stakeholders, committees and decision makers. Proven ability and track record to individually perform all aspects of a sales cycle from gaining initial interest to closure and beyond. Consistently achieved or exceeded sales quota objectives. Demonstrated success in appropriately utilising company resources to close business. At least 5 years of successfully selling solutions software and hardware in the commuinications domain. Native speaker of Arabic language and excellent English as a second language. Working within a matrix environment and across other Oracle lines of business as part of an overall solution. Excellent interpersonal, presentation and written communication skills.